Nikon UK has said that reports on the shortage of Nikon D800 cameras refers to the Japanese market only. Speaking to TechRadar, a spokesperson said "We will be working to supply cameras to customers as quickly as possible in the UK when the camera goes on sale on 22nd March." Yesterday, a statement appeared on the Nikon Japan website stating that due to an unexpected number of orders for the D800, supplies would not be sufficient. The spokesperson also confirmed that the camera will be made in Japan, which brings it in line with other high-end cameras made by the company, such as the Nikon D4 and the D800 predecessor, the Nikon D700. Launched in February, the 36 million pixel D800 is one of the most highly anticipated cameras of the past few months, with much excitement surrounding its release. Its bigger brother, the "pro" D4, had experienced production problems which has seen its release delayed by over a month. 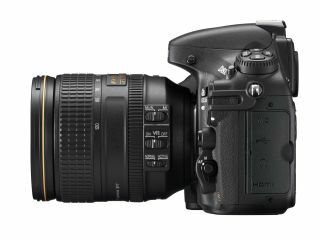 Earlier this month, Jeremy Gilbert from Nikon UK told us that the D800 pre-orders were "unprecedented" and the company had been delighted by the response. Nikon's biggest rival, Canon, also launches the 5D Mark III this week, which retails for around £600 more than the D800.